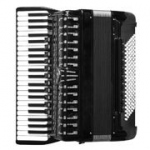 The Connecticut Accordion Association is dedicated to the promotion of the accordion through all music genres and all variations of accordion instruments! We welcome musicians who play all types of accordions: piano accordion, diatonic, chromatic button and more. We invite accordionists at all levels, and people who may not play the accordion, but love to listen.